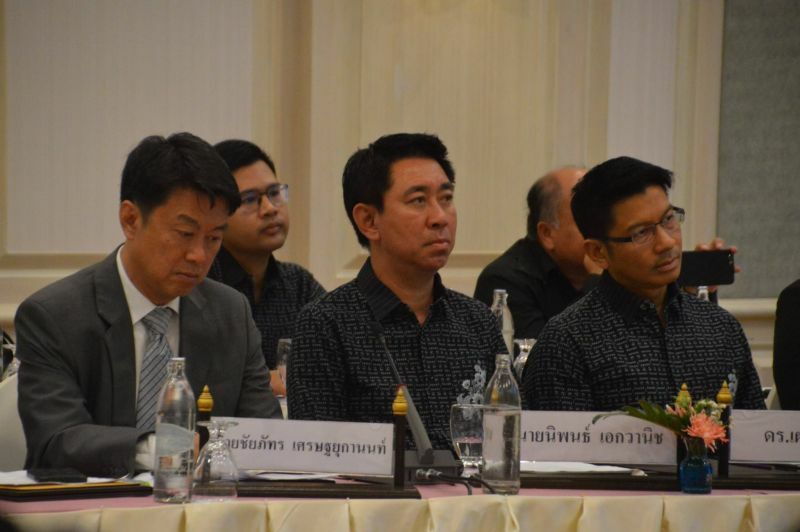 PHUKET: The island’s infrastructure is inadequate and needs addressing the Minister of Tourism and Sports said during a visit to the island yesterday. Tourism and Sports Minister Weerasak Kowsurat was on the island yesterday (Feb 22) to discuss obstacles faced with the Andaman region’s tourism industry at a meeting held at the Beyond Resort Kata Hotel in Kata. 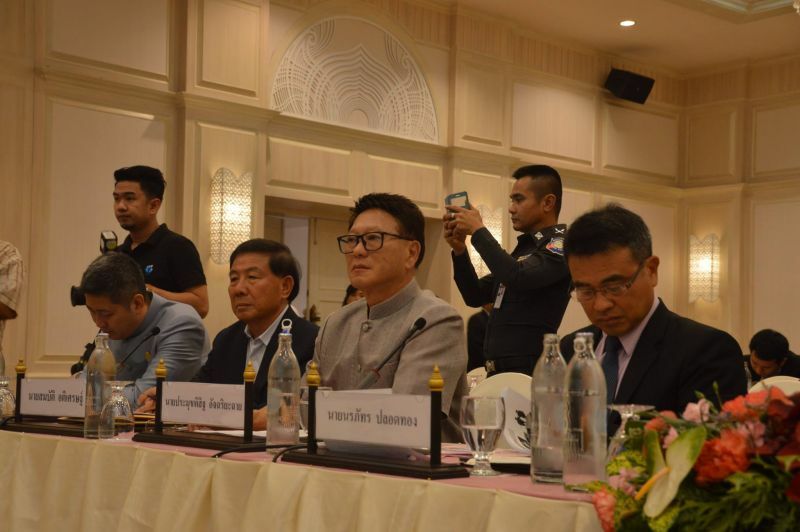 Joining Mr Weerasak at the meeting were Phuket Governor Norraphat Plodthong, Minister of Tourism and Sports’ Permanent Secretary Pongpanu Svetarundra, President of the Phuket Chamber of Commerce Surachai Chaiwat and others. 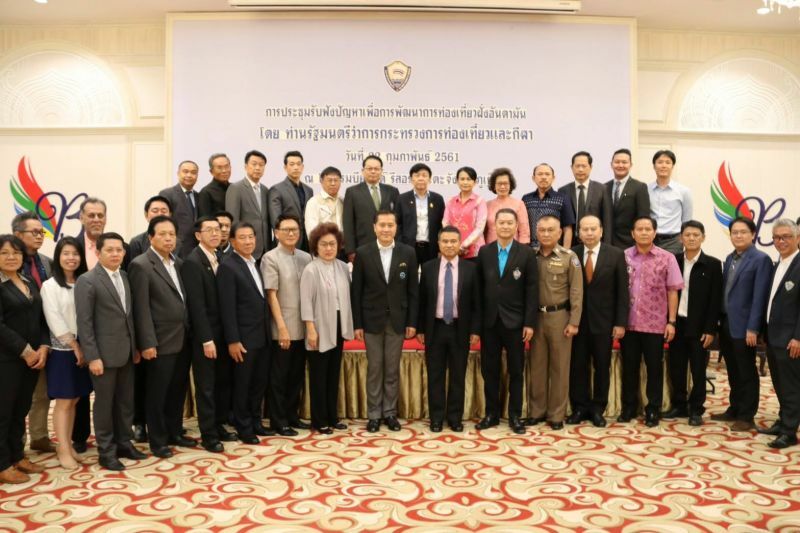 Mr Weerasak said, “This meeting aims to involve the private sector in discussing the problems and needs of the tourism industry in the three Andaman provinces of Phuket, Phang Nga and Krabi. The most important issue that the government needs to take urgent action over in basic infastructure and facilities. “Nowadays there are a lot of tourist visiting the Andaman region but the basic infrastructure and facilities are inadequate. This includes roads, mass transit, tourism places, tourists’ safety, garbage and wastewater problems,” Mr Weerasak explained. “Tourism safety is one of tthe governments main focuses and we need to make sure that CCTV covers tourism places. The quality of tours buses need to be improved and more care is needed to ensure we can prevent marine accidents. “The government will take care of the problems tourism operators have discussed with us. We are driving Andaman tourism into Thailand 4.0,” Mr Weerasak said. The minister also highlighted that it is important to involve local residents in basic infrastructure projects. 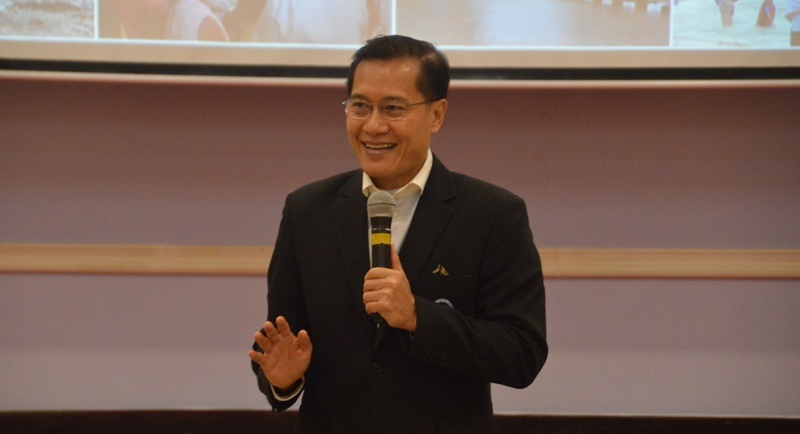 “Many projects are not finished in time due to various issues and this causes problems to local residents,” he said. Ask Patong mayor today: "madam, how many people, residents and tourist this moment are staying in Patong?" She will not be able to answer that. That shows what the real problem is on whole of Phuket, a local Government not knowing what is going on. How than to plan government hospital staff numbers, handle environment matters, etc ? Based on what? We call it mismanagement in long term planning. 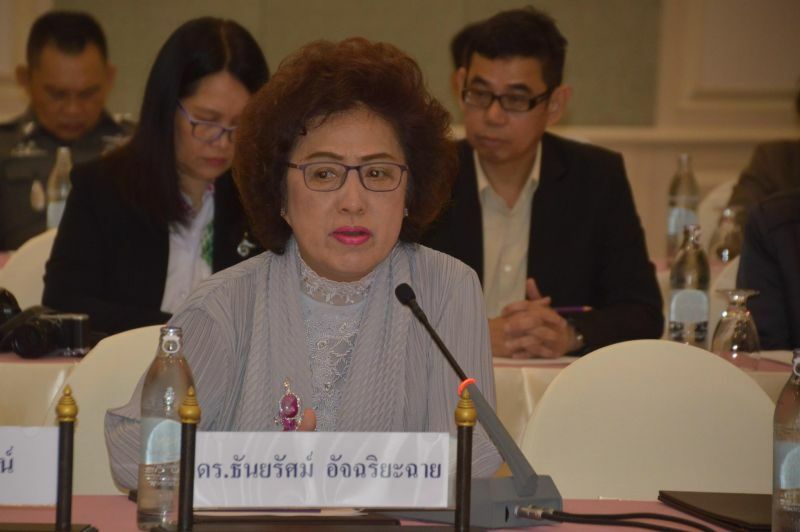 Slowing all private developments and accelerate all governmental investments to cope with better roads, electricity, water-supply as well stopping the incoming of too many Thais, Asian people and foreigners to come to work without being properly registered in Phuket Province. 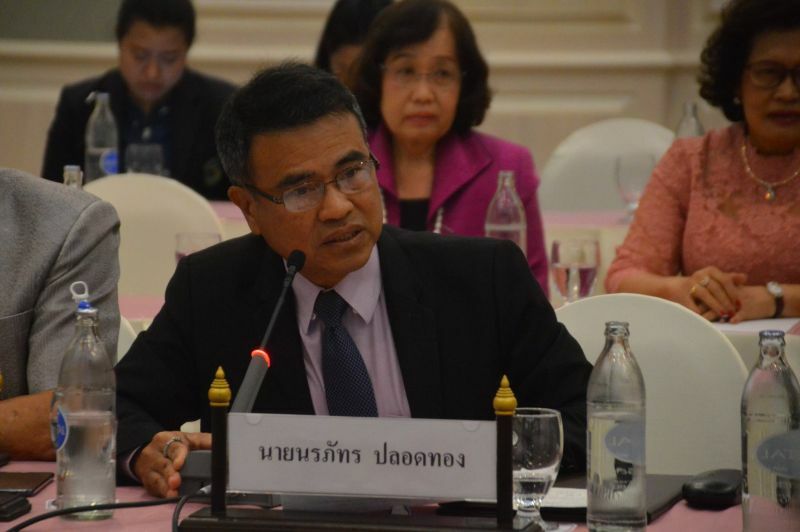 1 million people are living in Phuket; only 380.000 Thais are registered. At last someone has noticed! Of course a better solution would be to tear up the current mass market cheap tourism approach and instead focus on low numbers of tourists who stay longer and spend more money. Then all the buses will be gone, traffic hugely reduced, need for water, electricity, waste management etc all reduced and nature will have a chance to recover. Come on TAT, do it ! To be honest, it's too little too late. 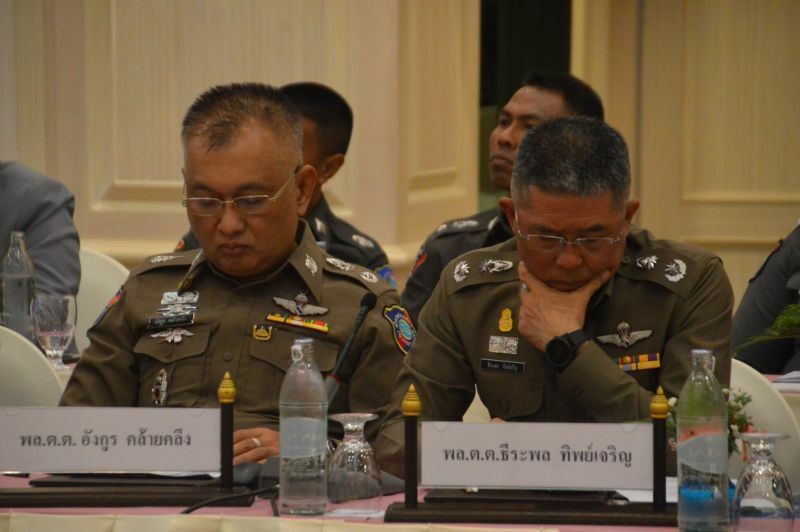 Phuket is urgently requiring better infrastructure. Just getting around the Island is proving to be difficult and time-consuming. It desperately needs a rail system, BTS or both to get the traffic off the roads, which are already full. It can't be fun if your a tourist, and even worse if you have to live here.